Smith, D. K., Chamberlain, P., & Deblinger, E. (2012). Adapting multidimensional treatment foster care for treatment of co-occurring trauma and delinquency in adolescent girls. Journal of Child and Adolescent Trauma, 5, 3, 224-238. Gillies D., Taylor, F., Gray, C., O’Brien, L., & D’Abrew, N. (2012). Psychological therapies for the treatment of post-traumatic stress disorder in children and adolescents. Cochrane Database System Review. Murray, L. K., Cohen, J. A., & Mannarino, A. P. (2013). Trauma-focused Cognitive Behavioral Therapy for youth who experience continuous traumatic exposure. American Psychological Association. Leenarts, L. E. W., Diehle, J., Doreleijers, T. A. H., Jansma, E. P., & Lindauer, R. J. L. (2013). Evidence-based treatments for children with trauma-related psychopathology as a result of childhood maltreatment: A systematic review. European Child & Adolescent Psychiatry 22, 269-283. Deblinger, E., Runyon, M. K., & Steer, R. A. (2014). Profiles of personal resiliency in youth who have experiences physical or sexual abuse. Journal of Psychoeducational Assessment 32(6), 558-566. Deblinger, E., Pollio, E., & Dorsey, S. (2015). Applying Trauma-Focused Cognitive Behavioral Therapy in Group Format. Child Maltreatment 21. Morina, N., Koerssen, R., & Pollet, T. V. (2016). Interventions for Children and Adolescents with Posttraumatic Stress Disorder: A Meta-Analysis of Comparative Outcome Studies. Clinical Psychology Review 47, 41-54. September 13, 2016 in Research about TF-CBT. Deblinger, E., McLeer, S. V., & Henry, D. (1990). Cognitive behavioral treatment for sexually abused children suffering post-traumatic stress: Preliminary findings. Journal of the American Academy of Child & Adolescent Psychiatry, 29(5), 747-752. Stauffer, L. B., & Deblinger, E. (1996). Cognitive behavioral groups for nonoffending mothers and their young sexually abused children: A preliminary treatment outcome study. Child Maltreatment: Journal of the American Professional Society on the Abuse of Children, 1(1), 65-76. Cohen, J. A., Mannarino, A. P., & Knudsen, K. (2004). Treating childhood traumatic grief: A pilot study. Journal of the American Academy of Child & Adolescent Psychiatry, 43, 1225-1233. Cohen, J.A., Mannarino, A. P., & Staron, V.R. (2006). A pilot study of modified cognitive-behavioral therapy for childhood traumatic grief (CBT-CTG). Journal of the American Academy of Child & Adolescent Psychiatry, 45, 1465-1473. Lyons, J. S., Weiner, D. A., & Schneider, A. (2006). A field trial of three evidence based practices for trauma with children in state custody. Report to the Illinois Department of Children and Family Services. Evanston, IL: Mental Health Resources Services and Policy Program, Northwestern University. Hoagwood, K. E., Vogel, J. M., Levitt, J. M., D’Amico, P. J., Paisner, W. I., & Kaplan S. J. (2007). Implementing an evidence-based trauma treatment in a state system after September 11th: The CATS project. Journal of the American Academy of Child & Adolescent Psychiatry, 46, 773-779. Grasso, D. J., Joselow, B., Marquez, Y., & Webb, C. (2011). Trauma-focused Cognitive Behavioral Therapy of a child with posttraumatic stress disorder. Psychotherapy (Chic). 48(2), 188-197. Quinn, N., Shulman, A., Knifton, L., & Byrne, P. (2011). The Impact of a National Mental Health Arts and Film Festival on Stigma and Recovery, Acta Psychiatrica Scandinavica 123, 71-81. Allen, B. & Johnson, J. C., (2012). Utilization and implementation of Trauma-focused Cognitive Behavioral Therapy for the treatment of maltreated children. Child Maltreatment, 17(1), 80-85. Sigel, B. A., Benton, A. H., Lynch, C. E., & Kramer, T. L. (2013). Characteristics of 17 statewide initiatives to disseminate Trauma-Focused Cognitive Behavioral Therapy (TF-CBT). American Psychological Association. Salloum, A., Robst, J., Scheeringa, M. S., Cohen, J. A., Wang, W., Murphy, T. K., Tolin, D. F., & Storch, E. A. (April 2013). Step one within stepped care Trauma-focused Cognitive Behavioral Therapy for young children: A pilot study. Child Psychiatry & Human Development, Online First. Murray, L. K., Familiar, I., Skavenski, S., Jere, E., Cohen, Imasiku, M., Mayeya, J., Bass, J. K., & Bolton, P. (2013). An evaluation of trauma focused cognitive behavioral therapy for children in Zambia. Child Abuse & Neglect 37, 1175-1185. Dorsey, S., Pullmann, M. D., Deblinger, E., Berliner, L., Kerns, S. E., Thompson, K., Unützer, J., Weisz, J. R., & Garland, A. F. (2013). Improving practice in community-based settings: a randomized trial of supervision – study protocol. Implementation Science 8(89). O’Donnell, K., Dorsey, S., Gong, W., Ostermann, J., Whetten, R., Cohen, J. A., Itemba, D., Manongi, R., & Whetten, K. (2014). Treating maladaptive grief and posttraumatic stress symptoms in orphaned children in Tanzania: Group-based Trauma-Focused Cognitive Behavioral Therapy. Journal of Traumatic Stress 27, 664-671. Webb, C., Hayes, A. M., Grasso, D., Laurenceau, J-P., & Deblinger E. (2014). Trauma-Focused Cognitive Behavioral Therapy for Youth: Effectiveness in a Community Setting. Psychological Trauma: Theory, Research, Practice, and Policy 6(5), 555-562. 16a. Greer, D., Grasso, Cohen, A. & Webb, C. (2013). Trauma-focused treatment in a state system of care: Is it worth the cost? Administration and Policy in Mental Health, published online 1/19/2013. 16b. Ready, C. B., Hayes, A. M., Yasinski, C. W., Webb, C., Gallop, R., Deblinger, E., & Laurenceau, J-P. (2015). Overgeneralized Beliefs, Accommodation, and Treatment Outcome in Youth Receiving Trauma-Focused Cognitive Behavioral Therapy for Childhood Trauma. Behavior Therapy 46, 671-688. Kameoka, Satomi, et al. (2015). Feasibility of trauma-focused cognitive behavioral therapy for traumatized children in Japan: a Pilot Study. International Journal of Mental Health Systems 9(26) (Open Access). Konanur, S., Muller, R. T., Cinamon, J. S., Thornback, K., & Zorzella, P.M. (2015). Effectiveness of Trauma-Focused Cognitive Behavioral Therapy in a community-based program. Child Abuse & Neglect 50, 159-170. Zorzella, K. P. M., Muller, R. T., & Cribbie, R. A. (2015). The relationship between therapeutic alliance and internalizing and externalizing symptoms in Trauma-Focused Cognitive Behavioral Therapy. Child Abuse & Neglect 50, 171-181. Cisler, J. M., Sigel, B. A., Kramer, T. L., Smitherman, S., Vanderzee, K., Pemberton, J., & Kilts, C. D. (2015). Amygdala response predicts trajectory of symptom reduction during Trauma-Focused Cognitive-Behavioral Therapy among adolescent girls with PTSD. Journal of Psychiatric Research 71, 33-40. Sharma-Patel, K., & Brown, E. J. (2016). Emotion Regulation and Self-Blame as Mediators and Moderators of Trauma-Specific Treatment. Psychology of Violence (APA). Cohen, Judith A., Deblinger, Esther, & Mannarino, Anthony P. (2016 online access). Trauma-focused Cognitive Behavioral Therapy for Children and Families. Psychotherapy Research. Deblinger, E., Lippmann, J., & Steer, R. (1996). Sexually abused children suffering posttraumatic stress symptoms: Initial treatment outcome findings. Child Maltreatment, 1(4), 310-321. 1a. Deblinger, E., Steer, R. A., & Lippmann, J. (1999). Two-year follow-up study of cognitive behavioral therapy for sexually abused children suffering post-traumatic stress symptoms. Child Abuse & Neglect, 23(12), 1371-1378. Cohen, J. A., & Mannarino, A. P. (1996). A treatment outcome study for sexually abused preschool children: Initial findings. Journal of the American Academy of Child & Adolescent Psychiatry, 35(1), 42-50. 2a – Cohen, J. A., & Mannarino, A. P. (1996). Factors that mediate treatment outcome of sexually abused preschool children. Journal of the American Academy of Child & Adolescent Psychiatry, 35(10), 1402-1410. Cohen, J. A., & Mannarino, A. P. (1998). Interventions for sexually abused children: Initial treatment outcome findings. Child Maltreatment: Journal of the American Professional Society on the Abuse of Children, 3(1), 17-26. King, N. J., Tonge, B. J., Mullen, P., Myerson, N., Heyne, D., Rollings, S., Martin, R., & Ollendick, T. H. (2000). Treating sexually abused children with posttraumatic stress symptoms: A randomized clinical trial. Journal of the American Academy of Child and Adolescent Psychiatry, 39(11), 1347-1355. O’Callaghan, P., McMullen, J., Shannon, C. , Rafferty, H., Black, A. (2013). A randomized controlled trial of Trauma-focused Cognitive Behavioral Therapy for sexually exploited, war-affected Congolese girls. Journal of the American Academy of Child & Adolescent Psychiatry, 52(4), 359-369. McMullen, J., O’Callaghan, P., Shannon, C., Black, A., & Eskin, J. (2013). Group Trauma-focused Cognitive-Behavioural Therapy with former child soldiers and other war-affected boys in the DR Congo: A randomized controlled trial. Journal of Child Psychology and Psychiatry, (Epub ahead of print). Dorsey, S., Pullmann, M. D., Berliner, L., Koschmann, E., McKay, M., & Deblinger, E. (2014). Engaging foster parents in treatment: A randomized trial of supplementing Trauma-focused Cognitive Behavioral Therapy with evidence-based engagement strategies. (Child Abuse and Neglect, 38, 1508-1520). 13a. Dorsey, S., Kerns, S. E., Trupin, E., Conover, K. A., & Berliner, L. (2012). Child welfare social workers as service brokers for youth in foster care: Findings from Project Focus. Child Maltreatment, 17(1), 22-31. Diehle, J., Opmeer, B. C., Boer, F., Mannarino, A. P., & Lindauer, R. J. L. (2014). Trauma-focused cognitive behavioral therapy or eye movement desensitization and reprocessing: what works in children with posttraumatic stress symptoms? A randomized controlled trial. Eur. Child & Adolescent Psychiatry (online). Salloum, A., Small, B. J., Robst, J., Scheeringa, M. S., Cohen, J. A., &Storch, E. A. (2015). Stepped and Standard Care for Childhood Trauma: A Pilot Randomized Clinical Trial. Research on Social Work Practice (Online First), 1-11. Salloum, A., Wang, W., Robst, J., Murphy, T. K., Scheeringa, M. S., Cohen, J. A., & Storch, E. A. (2015). Stepped care versus standard trauma-focused cognitive behavioral therapy for young children. Journal of Child Psychology and Psychiatry (online). Cohen, J. A., Mannarino, A. P., Jankowski, K., Rosenberg, S., Kodya, S., & Wolford II, G. L. (2016). A Randomized Implementation Study of Trauma-Focused Cognitive Behavioral Therapy for Adjudicated Teens in Residential Treatment Facilities. Child Maltreatment (online). Goldbeck, L., Muche, R., Sachser, C., Tutus, D., & Rosner, R. (2016). Effectiveness of Trauma-Focused Cognitive Behavioral Therapy for Children and Adolescents: A Randomized Controlled Trial in Eight German Mental Health Clinics. Psychotherapy and Psychomatics 16, 159-170. We are very excited that our free app for cognitive processing, the TF-CBT Triangle of Life, is now freely available from the Google Play and Apple iTunes stores! The app was created through a collaboration between the Allegheny Health Network and the Carnegie Mellon University’s Entertainment Technology Center and Disruptive Technology Institute. 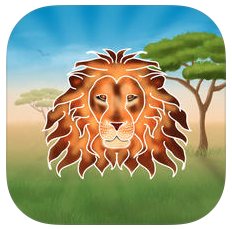 It won an honorable mention in the United Nations Alliance of Civilization’s 2014 PEACE app awards and we look forward to it helping therapists to implement TF-CBT cognitive processing with traumatized children. May 15, 2015 in Basic TF-CBT Resources, Research about TF-CBT, Resources for Implementing TF-CBT, Training & Consultation.